The U.S. Government has at least one post office in each city or town. You can call (800) ASK- UPSPS for information as well as look up the listing in the blue pages of the telephone book. Most post offices are open on weekdays and Saturdays. Weekdays from 8:00 am to 5:00 pm and some are open until 7:00 pm. Many post offices are also open for the morning on Saturdays. Mail is delivered once a day, Monday through Saturday, except for special delivery mail, which is delivered as soon as it reaches its post office destination. For mailing important documents, use registered mail so that mail can be traced if lost. Mail will not usually be left at your apartment unless your name appears on the mailbox. Fort Point Post Office, 25 Dorchester Ave. Room 1, is the only post office in the Boston area that is open 24 hours, 7 days a week. 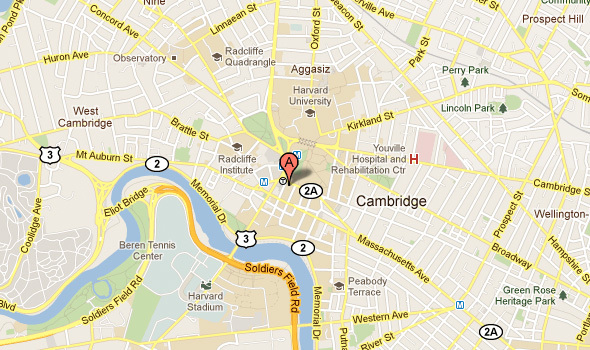 It is within walking distance of South Station on the Red Line. Stamps may be purchased at post offices or from vending machines located in some stores. Stamps are more expensive when purchased from a vending machine. Letters and postcards may be deposited in blue mailboxes found on street corners. All addresses in the United States are assigned a 5-digit (sometimes a 9-digit) zip code. Incorrect or missing zip codes may delay the delivery of the mail. If you do not know the zip code, contact USPS or visit the nearest post office to use their zip code directory. University Mail provides service among Harvard departments, administrative offices, and libraries, including those in the medical area for University business. You should write "University Mail" on the outer envelope and place your mail in one of the University Mail stations, located throughout the University.